Premium Services | Servi-Tech, Inc.
Servi-Tech Expanded Premium Services (STEPS), offers services above and beyond traditional crop consulting. ProfilerPlus, RainStation, PivotMonitor, and CropView are technologies that uniquely enhance the decision-making and profitability of your operation. To help you take your farming operation to the next level, Servi-Tech Expanded Premium Services is here to help you better manage water, increase the profit opportunities in your field and maximize an investment in aerial imagery. ProfilerPlus is our latest innovation from STEPS. It is an open sensor platform that supports multiple sensors while using a shared connection through a single gateway. It features long range wireless technology for flexible sensor placement. At the core of the system is the gateway. A single device providing connection for all your sensors. Our watermark sensors provide more flexibility with their compact size and ease of installation. 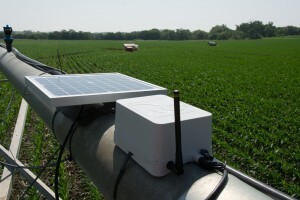 Now you can monitor multiple areas of your field for information you need to make better irrigation decisions. Fine tune your water application with the ProfilerPlus soil moisture monitoring system. For more information and to get yours today, call Servi-Tech at 800.557.7509, or send us a message. Do you know how much rain your fields received last night? A RainStation from Servi-Tech can help! 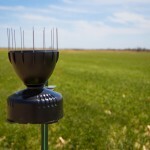 The RainStation is a wireless tipping rain gauge. It accurately measures rainfall and reports the rainfall information to you, through our web portal, every 30 minutes. Install a RainStation at the edge of every field, and you can start the day knowing exactly how much rain each field got through the night. Then, take it a step further and pair it with our ProfilerPlus soil moisture monitoring system. You'll have the power to make well-informed irrigation decisions, saving water and saving money. Never again wonder how much it rained, get a RainStation! For more information and to get yours today, call Servi-Tech at 800.557.7509, or send us a message here. With CropView by Servi-Tech, you’ll work with your Servi-Tech crop specialist to utilize field imagery to look for costly problems in your field while there’s still time to fix them — and not discover the problem during harvest when it’s too late. Images are delivered to the Servi-Tech Bridge allowing you and your Servi-Tech crop specialist to make yield-protecting decisions quickly. For more on CropView, click here. For details about Servi-Tech Expanded Premium Services, contact a STEPS team member today.